Teacher Appreciation Week is May 5th -9th this year and ThingLink is an amazing tool for showing teachers how much their efforts are appreciated. It’s fun, it’s flexible and users have access to all the resources available on the world wide web. Anything is possible with ThingLink. No one would would argue that a handwritten note, card or poem from an appreciative student is something to treasure, but that type of activity only appeals to the learning styles of certain types of students. It’s safe to say that some students will not be able to create a product they are proud of to truly express their appreciation if only given one option. Why not kick it up a notch and offer students flexible choices to ensure their success? Let students choose from a variety of options including text, images, audio and video to express themselves in a way that allows them to share their talents and take pride in their gift? All you need is a ThingLink Teacher account and access to a computing device. Create it at home or at school on any device that’s available at the time. Show your teacher you care with a teacher appreciation gift created with ThingLink! If you are a teacher with a passion for teaching, ThingLink is an essential tool for your toolkit. This flexible tool is well-suited for helping students dig deeper into content as they create. Learning to use ThingLink is an adventure worth exploring. To find your starting point for learning to use ThingLink in the classroom, it’s helpful to examine the tool through the lens of the SAMR model of tech integration, developed by Dr. Ruben R. Puentedura, Ph.D. This model is extremely useful for the work I do to help teachers leverage the power of technology because it’s simple, easy to gauge, and something to strive for. Teachers in the substitution and augmentation phase use technology to accomplish traditional tasks and enhance learning. These stages are necessary and should not be skipped, but the learning gain for students is the same with or without the technology. At the modification and redefinition levels, technology is used to transform learning and embrace opportunities that are not possible without technology. At these levels, the task changes. This means that ‘Teaching Above the Line’ is where the real learning gains occurs. ThingLink itself is a tool that starts “Above the Line” because creating a multimedia enhanced interactive image requires technology. It is important to go through each of the stages of SAMR to avoid the pitfalls of chaos that can result by jumping in too quickly. This includes acquiring knowledge and skills to prepare for responsibly creating and publishing interactive images. Keep in mind that the goal is to “Teach Above the Line”, but when you and your students get there, you will want to be comfortable with attribution, copyright and publishing. Start by creating and working with images. At the substitution level it’s important to remember that teachers are engaging in tasks that could be completed without technology or with limited older technology. There are opportunities at this level to introduce students to the concept of copyright and intellectual property as they create original images and work with their own photos to present knowledge and ideas. All too often in school, students create posters that consist of printed images from the web, so this is a good time to stop and help them understand that those images are the intellectual property of the creator and, unless they are in the public domain or licensed for reuse, they are not free to use. 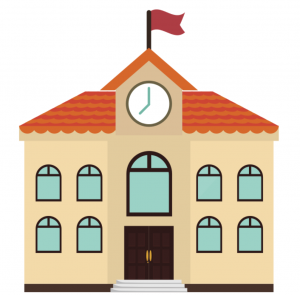 Perhaps the most tremendous benefit of technology is the ability to provide students with equal access to virtually unlimited resources available on an Internet connected device. At the augmentation level, technology greatly enhances the process of creating an original image because of the increased number of flexible options available. In simple terms, all student have access to an unlimited number of colors to draw with, which exceeds the number of colors that could be available in any classroom. More importantly, the eraser is a game changing tool, unmatched with paper and pencil. To make good use of working at the augmentation level, teachers should continue to explore digital citizenship with students and help them understand the concept of public domain and copyright free image use. Students can explore drawing and painting programs to create original digital images, and they can explore resources for finding images that are in the public domain or licensed for reuse. Additionally students can explore online resources to manipulate photos and create digital posters that they label with simple text. The best way to acquire the knowledge and skills necessary to responsibly create and publish images is to learn through constructive play. Engage students in tasks that require them to create their own original digital images to communicate ideas and demonstrate learning. When teachers and their students are comfortable creating and working responsibly with images, it’s time to “Teach Above the Line” with ThingLink! The flexibility of this tool makes it well-suited for a variety of uses in the classroom. Custom icons can be used for differentiation and multimedia can be used to meet the unique learning needs of students. At this level there is a lot of room for growth. Teachers and their students should start by creating simple interactive images about familiar concepts to get a feeling for the ease of use of the tool. After that, the sky is the limit. Start with an image. Define it through multimedia. Present ideas. Pack it full of content. Create links to amazing sites. Explore, share and create at the modification level with ThingLink in the classroom! At the redefinition level, teachers and their students have the ability to design a learning task or identify a goal, then make it happen with ThingLink by integrating appropriate tools from their own toolkit. ThingLink is an amazing tool at this level because it can be used to weave together a web of tools to support just about any learning experience imaginable. Use of technology at this level is seamless because it has become natural and comfortable. ThingLink provides teachers with the power to invent, innovate and inspire. Here is an example of my most recent ThingLink invention designed to extend a One School, One Book initiative into the homes of families. In addition to sharing recorded chapters for all to enjoy, the interactive image is used to meet a variety of my own goals for integrating technology at the school. The best part about this graphic is watching it grow as new ideas develop. 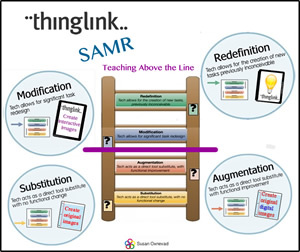 Explore this SAMR and ThingLink Ladder for a big picture view of the ideas presented here. ThingLink is a flexible tool for teaching and learning that can be used for a wide variety of purposes in education. At it’s most basic level, teachers and students can start with an image, define it through multimedia and pack it full of content to present knowledge and ideas. It’s a great tool for teachers at any level of tech integration because of it’s simple, flexible design. Teachers don’t need a lot of tech expertise to create a ThingLink interactive image, they just need to know how to copy and paste. My advice to teachers just starting out with ThingLink is to spend about 15 minutes engaging in constructive play to create an interactive image about something familiar, like “How to Make Sun Tea” or “Favorite Recipes”. This allows users to experience the ease of use of the tool itself without getting distracted by the possibilities that exist for designing more powerful activities. After trying the tool, teachers will soon discover that the simplicity of ThingLink will allow them to keep the focus on teaching without having to struggle with learning how to use the technology. ThingLink images are powered by ideas and intellect. Right out of the box, teachers can use the tool to provide students with differentiated learning experiences that support unique learning styles through the use of multimedia. As teachers become more comfortable with tech integration, this flexible tool will continue to support their needs. More experienced tech users can truly test their creativity and challenge themselves to think outside of the box when designing powerful learning experiences. For this reason, ThingLink is one of the most frequently used tools in my toolkit. A flexible digital toolkit is essential for helping teachers design learning experiences that leverage the power of technology to transform learning. As I reflect on my own digital toolkit, I recognize that all of the tools I frequently use are blank canvasses powered by features I can use to design any type of learning experience I can imagine. The tools in my toolkit allow me to start with the learning goals and higher order thinking skills and make use of the technology to design learning experiences that provide students with opportunities to achieve those goals. Please explore my web of flexible learning tools, powered by ThingLink. Now teachers and students can create collections of work within the safety of their own ThingLink Teacher classroom with an exciting new feature known as Channels. ThingLink Channels provide users with the ability to organize images into embeddable interactive albums with the click of a button. Teachers and students have the flexibility to build Channels that are connected to learning goals and compliment classroom routines. Channels are a fantastic addition to ThingLink Teacher, with many opportunities for use for teaching and learning. Select an image and click the Edit icon. Click on the Add to channel link, just above the image. Select a channel or Create a New Channel, then click Done. ThingLink has plans to continue to improve the functionality of Channels. One improvement in the works is an option to arrange images within a channel. They are also exploring the possibility of adding other people’s images to a channel, with notification features. All of this is in the works! Suggestions from teachers are always welcome at ThingLink, so if you have an idea please share it. Explore a Channel of resources and tutorials to help you build your own ThingLink Classroom. ThingLink Custom Icon Sets are a new feature available to teachers with premium accounts. They offer a whole new layer of opportunities for using interactive images for teaching and learning. Think of Custom Icon Sets as visual labels that can be used to further define an image and provide a glimpse of the type of content to be explored behind the link. They are fun to create and have many great uses in the classroom. Here are three ideas to get you started. Create differentiated multimedia content launchers to help students identify resources to match their personal learning needs. Teach students to self-select content at their own ability levels. Use colors to identify 3 levels of difficulty for links to text based information. Create Custom Icon Sets to represent types of resources, such as video, text, audio, images or games. Start simple and before you know it you will be adding layers of differentiation at a glance. Take students on a journey through a collection of resources by using numbers as Custom Icon Sets on interactive images. Grab students’ attention and walk them through a path as they explore, learn and interact with content. Take students on a virtual fieldtrip, design a webquest type journey, guide them through a process or teach a specific skill. Add order to your interactive images with Custom Icon Sets. Explore this interactive image to view the illustrated steps for creating a Custom Icon Set. Be sure to watch the video for a guided walk through. As an early adopter of ThingLink, I’ve spent quite a bit of time designing interactive images. Throughout this time I’ve had many thoughts and ideas about creating additional icons to improve the design process, but I never dreamed of having the flexibility to design my own. I believe this amazing new feature will be extremely useful for inspiring creativity and redefining learning. This is going to be fun! ThingLink is working hard to pack teacher accounts full of useful features for building and managing the ThingLink Classroom. I am excited to be guest blogging here in February and March to demonstrate great ways to use the new features. Let’s start from the beginning by taking a look at how teachers can create a ThingLink Classroom and add students. Good news! When teachers sign up for a ThingLink Teacher account, a classroom group is now automatically created. Just sign up and grab your own classroom to experience the benefits of collecting, organizing and viewing the work of your students in one place! ThingLink has streamlined the sign-up process by providing teachers with the power to create student accounts from a simple list of names. Just pop your list into the designated box in your ThingLink Teacher account and the system will generate a list of student logins. After the first login, students can change their passwords if they choose. This feature is sure to help students get up and running in a snap. Explore this interactive image and be sure to watch the video to see how easy it is to create student accounts with your ThingLink Teacher account. After students have accounts within your ThingLink Classroom, it’s time to let them to try out the tool. My advice is to start with something simple for use as an exploratory activity. Let students create an interactive image with familiar content to allow them to experience the ease of use of the tool in a way that doesn’t strain their brain. After students get their feet wet, you will discover many possibilities for teaching and learning with ThingLink. ThingLink has been my trusted tool for quite some time and I am truly excited to watch it grow into an amazing tool for students and teachers. Stay tuned for more exciting new ThingLink Teacher features to help you build your ThingLink Classroom. 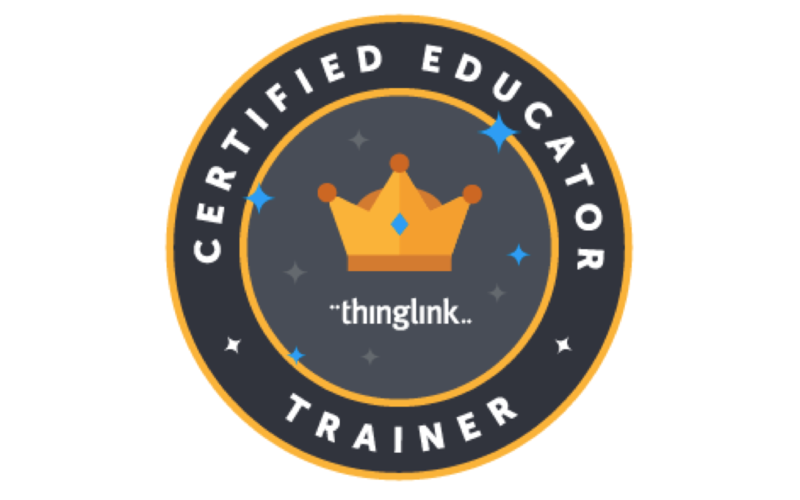 Want to learn more about the ThingLink Classroom? Join us for the ThingLink Challenge This Summer.